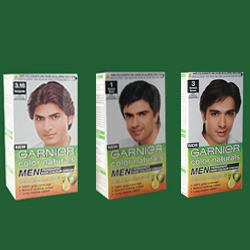 Garnier Color Naturals is a permanent colour cream enriched with Olive oil, that nourishes the hair as it colours. Your hair is deeply nourished, your color is richer, more uniform and shinier. The second ratio of olive oil in the conditioner is a real treatment for your hair. Your hair is soft and your colour radiant. And there is no grey hair! 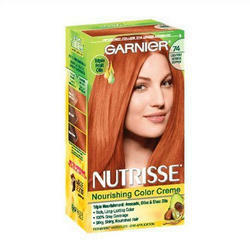 Garnier Color Naturals is a permanent colour cream imbued with Olive oil, that nourishes while it colors the hair. With this the colour is richer, shinier and more uniform. The second ratio of olive oil in the conditioner is a real treatment for your hair. Your hair is soft and your colour radiant and there is no grey hair. Here it is presented in natural black shade.